Here comes the bride, all dressed in white- and rhinestones! 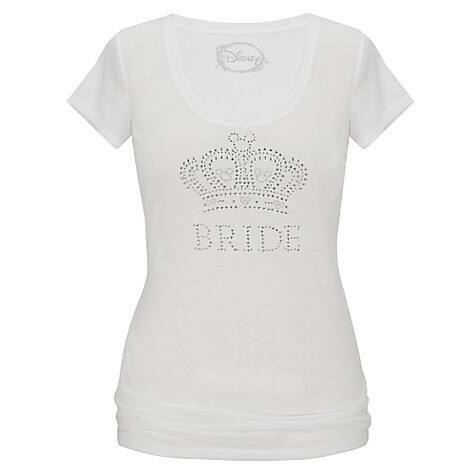 This Bride Rhinestone Tee is hot off the press, in fact it just debuted yesterday. 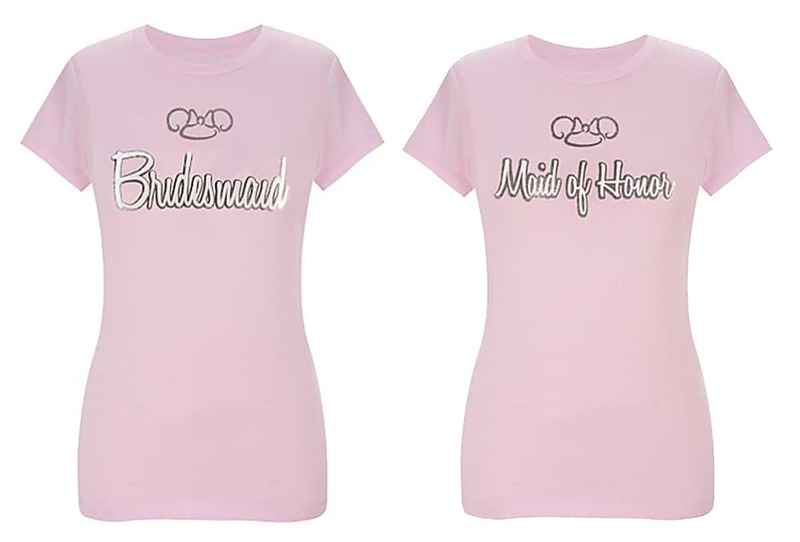 Of course, you can't forget about your Bridesmaids and Maid of Honor. Don't worry, we've got the entire bridal party covered! Guys, are you feeling left out? 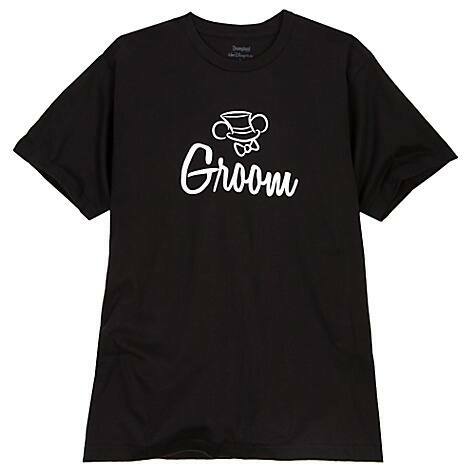 We've also got a fabulous Groom's shirt for all of our husbands-to-be. This shirt marries a classic black tee to Disney fun with its top hat design featuring Mickey Mouse ears. What I love most about these tees is that they are available online so that couples everywhere can share in the Disney magic. Are you sporting custom tees for you and yours before you say "I do"?